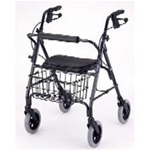 This versatile walker combines a lightweight frame with our patented “Feather Touch” hand braking system. 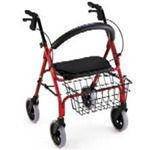 Easy to lift and perfect for strolling outdoors. 275 lb. weight capacity.